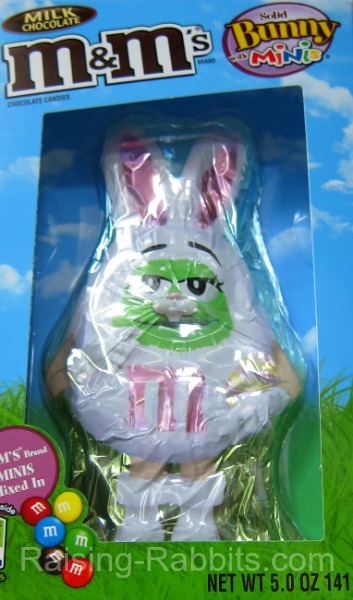 Easter Rabbit: Should you get yourself a delightful new pet Easter bunny, or is it better to resign yourself to the chocolate variety? Do 95% of Easter bunnies really end up abandoned at shelters? The true answers might shock you. Easter is just around the corner. According to Ms. Corinne Fayo, founder and owner of the Rabbit Education Society, it is also the time of year that people LIE about rabbits (her words and emphasis). This year you’re bound eventually to see at least one news story about a single unwanted rabbit that got dropped off at a shelter. This single story will hit the news with dire warnings about getting your kid a bunny for Easter. “95% will end up abandoned in shelters,” they assert. “Make yours chocolate,” will be the punchline. Yes, some Easter rabbits will end up in a shelter. But instead of the absurdly huge percentages cited by animal rights organizations (and quoted in the news), analysis of the available numbers shows that the figure is much closer to 2% of rabbits (or less) in the USA. This includes all rabbits surrendered over a year’s time. Yet stories about abandoned Easter bunnies continue to quote 80%, 90% or 95% as representing the percentage of bunnies that will be abandoned just as soon as they outgrow the cute ‘bunny’ stage. That would be an astronomical number of rabbits. If 95% of these bunnies get dumped on shelters by August, we would expect to find a sudden influx of roughly 2,823,031 rabbits flooding into shelters by mid-August. If 2.8 million Easter rabbits flooded animal shelters every single August, you can bet your cockadoodle donut that every August, animal rights organizations would contact every media outlet and file press releases lambasting all the evil rabbit breeders for selling their bunnies to irresponsible individuals who will abandon them. But, there is no influx of 2.823 million rabbits every year in August. Rabbits DO end up in shelters, of course. Sick rabbits. Pregnant ones whose moodiness was mistaken for meanness. Truly mean rabbits that have no business being pets. Rabbits with front teeth like samurai swords. Plus those rabbits caught in their owner’s life situation changes, say, their owner is moving and can’t keep the bunny. No doubt a few bunnies purchased this Easter season will eventually end up in some shelter somewhere. This is a far cry from the oft-quoted and completely unsubstantiated 95%. So, where the heck do these Easter rabbit percentages come from?? 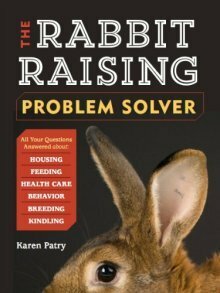 “We are trying to put the breeders out of business (because rabbit breeders are rabbits’ biggest threat)” (2000) Ah, that makes a lot of sense! Absurd logic aside, now we know the WHY behind the lies. If everyone believes that shelters are crammed to the ceilings with rabbits and that billions are indiscriminately killed, then it will be easier to convince lawmakers to make the breeders stop breeding. PETA, on the other hand, has no qualms about killing indiscriminately. 80%: Actual quantification via percentages (fabricated, of course) was a somewhat later development. The Humane Society of the United States (HSUS) has been telling people for years that 80% of rabbits sold as pets die. In a phone conversation with the HSUS, according to Ms. Fayo, the HSUS stated that the figure is NOT theirs; it was a figure quoted from the House Rabbit Society (HRS). Soooo....that 80% number is a complete fabrication. HRS's “most” is also a fabrication, as the HRS truly has no idea. The actual truth, according to legitimate research, is much closer to a 1.9% rabbit abandonment rate, regardless of the Easter season (The Rabbit Overpopulation Myth (PDF)). 90%: This is another spurious and highly inflated statistic that is quoted by animal rights organizations to the news media. The sources for the 90% figure are identical to the sources for the 80% number. Completely fabricated. 95%: It just keeps getting better and better. Over the last several years, 95% has been the in-vogue percentage to describe the death or abandonment rate of Easter bunnies sold as pets. Yep – pulled straight out of places where the sun doesn’t shine for the express purpose of deception. Are you really excited about acquiring an Easter rabbit? Feel free to ignore the propaganda! Do your homework for sure, so you can obtain a rabbit that will please you and your family for years. Go ahead, check the rabbit shelters. You may find a few rabbits in your area, but don’t take any that are sick, have crooked teeth, snotty noses, rough fur, or are mean. These rabbits land in the shelters for a reason – they were not suitable for their prior family, and the likelihood exists that they are not suitable for any other family as well. 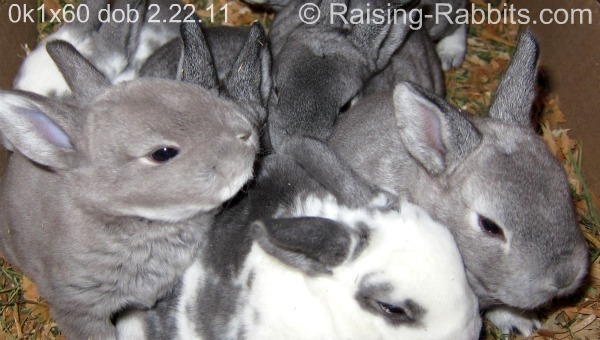 Check our Rabbits for Sale page for many tips on locating an excellent rabbit breeder or other reputable source for rabbits. chocolate variety of Easter rabbit!